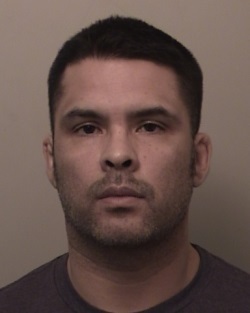 On July 9, 2014, El Dorado County Sheriff’s Detectives were following up on a child molestation investigation of 37 year-old Eric Hatfield, JR. Hatfield was accused of molesting an underage girl who was an acquaintance. At approximately 1:30 pm, Detectives determined he was at his residence, located at the Copper Hill Apartments in El Dorado Hills. Officers surrounded the location and made telephone contact with Hatfield. Hatfield made suicidal statements, refused to exit and was believed to be armed with a shotgun. Sheriff D’Agostini subsequently activated the Sheriff’s Office Crises Response Unit. Just before 4:00 pm, Officers shut down El Dorado Hills Boulevard at Olson Lane and Wilson Boulevard. The Crises Response Unit negotiated with Hatfield for many hours before his eventual safe surrender at approximately 9:30 pm. Hatfield was booked into the El Dorado County Jail for child molestation related charges. His bail is set at $1,000,000.